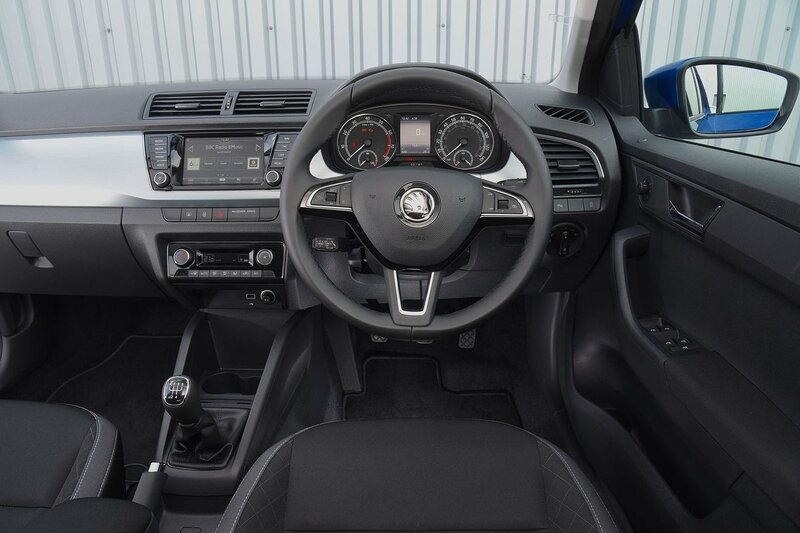 Skoda Fabia Interior, Sat Nav, Dashboard | What Car? The driver's seat has enough lateral support to ensure you don’t roll about too much through corners. It offers a decent amount of lower back support, too, even though there’s no lumbar adjustment to allow you to fine-tune this – as standard or as an option. At least the seat is height adjustable, in addition to the usual forward and backward adjustment. The steering wheel moves in and out as well as up and down, too, so you shouldn't have much trouble finding a comfortable driving position. 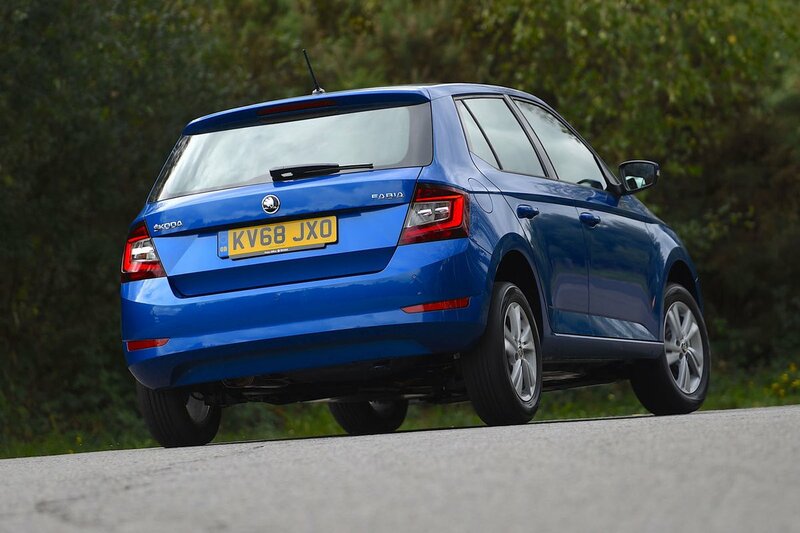 The gearlever is within easy reach and because the Fabia’s pedals line up nicely with the steering wheel, there’s little risk you’ll be uncomfortable on a long journey. Unfortunately, only the top-spec trim has a centre armrest, although you can add one as an option on cheaper models. 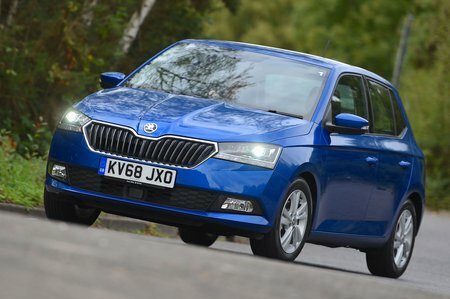 You might think there are sleeker, more stylish cars in the small car class, but by keeping the Fabia's lines simple and boxy, Skoda has made life easier for the driver. The view out the front is very good, thanks to the narrow windscreen pillars, and it’s the same story when looking over the shoulder, where the Fabia’s tall windows and slim rear pillars cause little obstruction. Entry-level S models make do without parking sensors, although they are available as an option. Rear parking sensors become standard from mid-spec SE trim, but you still have to pay extra for front sensors. LED daytime running lights are standard on all trims, while full LED headlights are a pricey option on SE trim and above. Auto high beam – which automatically dips your high beam if there is a risk of dazzling an oncoming driver – is standard on SE L and an option on SE, but not available in other trims. Every Fabia has a 6.5in touchscreen in the centre of the dashboard. It’s a bright display that features sharp graphics and logical menus, and the screen is quick to respond when you prod it. Skoda’s SmartLink technology – which allows you to use certain mobile phone apps, such as sat-nav, via the car’s touchscreen – is standard on SE trim and above. This works with both Apple and Android devices, and the Arkamys sound system that's standard on all but entry-level S models is punchy enough. If you don’t want to use your smartphone’s sat-nav, Skoda’s own navigation comes as standard in SE L trim. SE models and above get a multi-function steering wheel with radio and phone controls. Just as the Fabia is unlikely to win any beauty contests for its exterior looks, you probably won't be blown away by the styling inside, either. One thing’s for sure, though: the interior feels built to last, even if it lacks any of the soft-touch plastics that you'll find in some rivals, including the Ford Fiesta and Volkswagen Polo. All the buttons and switches feel as solid as those in Skoda’s bigger cars, too, so even though the Fabia isn't as plush inside as a Polo or an Audi A1, it doesn't feel at all low-rent, either.